Prime Minister Narendra Modi held a video interaction with BJP Karyakartas from Machhlishahr, Rajsamand, Mahasamund, Satna and Betul. 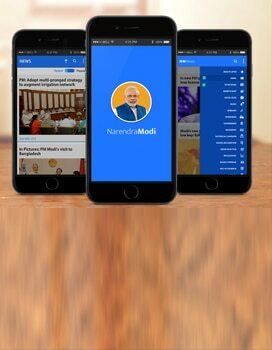 Beginning his interaction with a party worker from Betul, Prime Minister Modi criticized the Opposition for indulging in spreading misinformation about mobile manufacturing in India. He said “Its not that mobiles were invented after 2014. Mobiles existed before 2014, but let me ask this question to those that ruled this country for so long, why did India have just 2 mobile manufacturing units during their rule?” PM Modi asserted that India is now among the leading mobile manufacturers in the world. 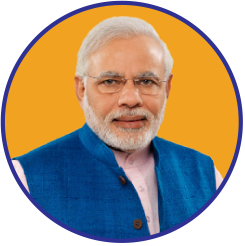 In response to a question asked by a BJP Karyakarta from Rajsamand on being conferred the Seoul Peace Prize and the UN Champions of the Earth Award, PM Modi said, “It is not me who is getting rewarded internationally, rather it is the 130 crore people of my country who have left no stone unturned for the peace and prosperity of this nation.” He further added that ecological harmony and environmental conservation have always been an important part of Indian culture and ethos and even our tribal communities still practice this co-existence in their rituals and way of living.